So, as you probably know, our Toronto office is moving to MaRS soon, and we are about to join a whole bunch of exciting neighbours! On Tuesday I visited my favourite Meetup group for the second time. They’re called “We are Wearables Toronto” #WWTO and they claim to be the largest Augmented Reality (AR), Virtual Reality (VR) and Wearables conference in the North America. This month’s event “October 2016: Augmented and Virtual Reality” had over a thousand attendees! This time around the companies that attended and showcased their technology were Secret Location, Sulon Technologies, Globacore, Quantum Capture, Proto3000, Super Ventures, Modiface, CFC/ideaBOOST, ABB Robotics, Eye-LIVE Media, MiaoMiao Games, itsme3D, Lucky VR, FIVARS Festival, VR Society, Ryerson University, Sony, and OMERS Ventures. Sulon Q presented their new AR/VR device. 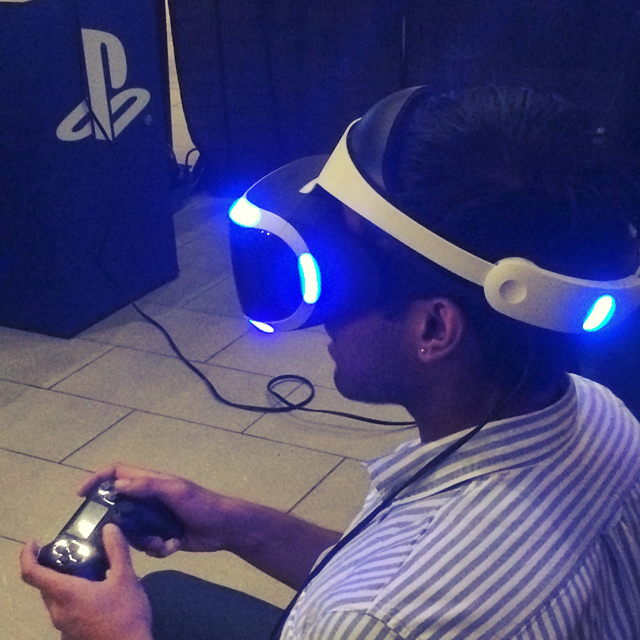 Sony was demoing their new PS4 and the PS VR headset that will be launched on October 13th. Ryerson University was represented by a professor teaching journalism and mass media. Coming from a journalistic background myself, it’s fascinating to think of the fusion of AR/VR and the future of news! 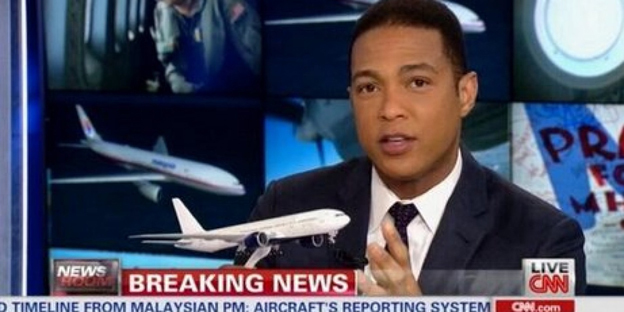 I do want my newscasters to look like unicorns and CNN to have more realistic interactions with toy airplanes. JK! And then there’s always the venture capitalists looking for their next big investment. Tom Emrich, the founder and organizer of We Are Wearables, covered a lot of ground with his vision for the future of AR/VR. For example, combining AR and VR will find a lot of interesting applications in many industries and everyday life. Imagine buying your next house by conducting a virtual walk-through at your convenience. You can “try out” your new house before buying or even seeing it in person. Tom says that the big future for AR is not only on mobile (think Pokemon Go) but also on your face! As 3D scanning technologies and reality capture improve, the new possibilities are very exciting! Advancements in computer vision will allow a much better, mind-blowing experience in AR/VR. That’s why news from companies like Ascending Technologies (Germany), which just released a very advanced UAV FireFly, is something that this community is hoping will be a significant breakthrough. Authoring tools like PTC, Vuforia, Wikitude SLAM are among the emerging technologies that open up a lot of possibilities for the developers and enthusiasts that are ready to embrace “the next big platform”. Autodesk is also extending the Stingray engine for VR. 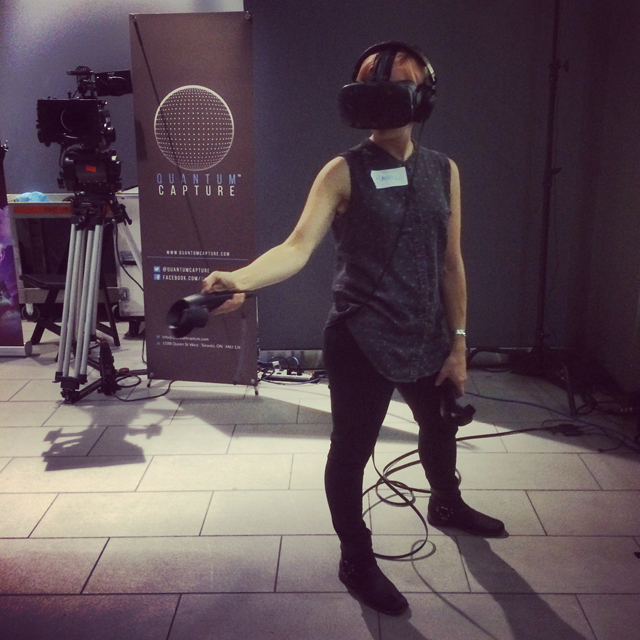 Read Kean Walmsley’s blog to find out what VR experiments are going on in Autodesk Research. CognitiveVR is a player in Analytics that offers your entire VR experience in your web browser overlaid with queried data. This instant access to additional information, statistics analysis and fact checking will expand our knowledge and change our learning experience in the future. 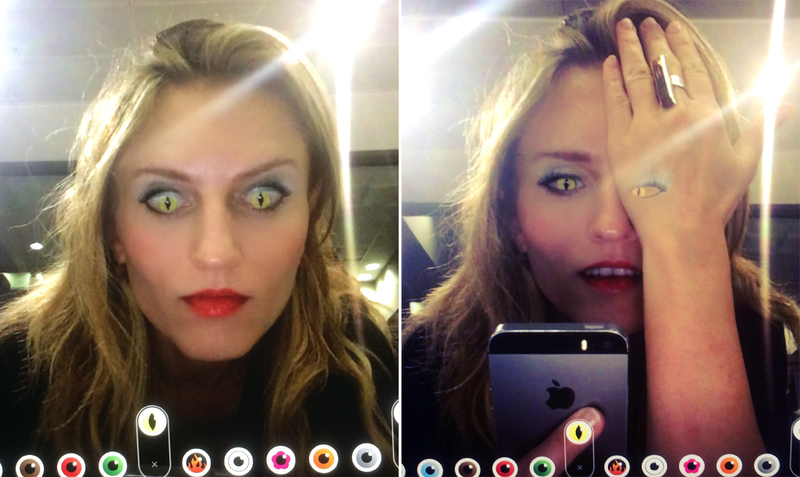 AR interactions and interfaces is a promising area for research. Tilt Brush by Google is still the most popular HTC Vive experience. But people are ready for new tools, peripherals, gloves, and controllers. They want to be able to touch and feel objects in VR. This loops us back to wearables. Collaborative and social AR is a promising direction as well. Imagine running your meetings by virtually teleporting to the same room. 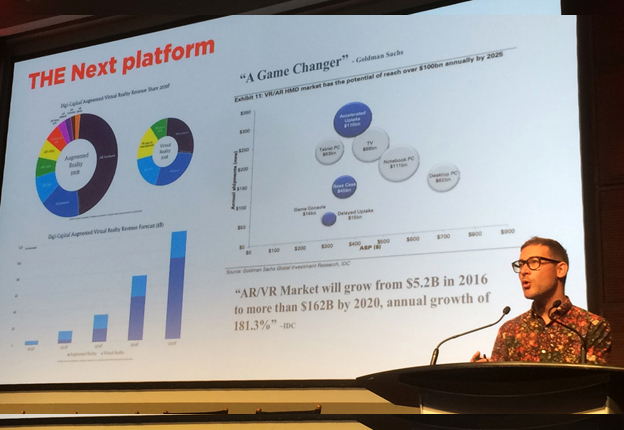 Bringing real people in VR will be a big deal in VR/AR mass adoption. AR in Enterprise is another big thing. Think of DAQRI construction helmets, “a visionary tool for the 21st century worker”. With features like data visualization, thermal vision, guided work instructions, remote expert, this is a promise for the new industrial revolution. Industries like aerospace, manufacturing, medicine, education, etc. 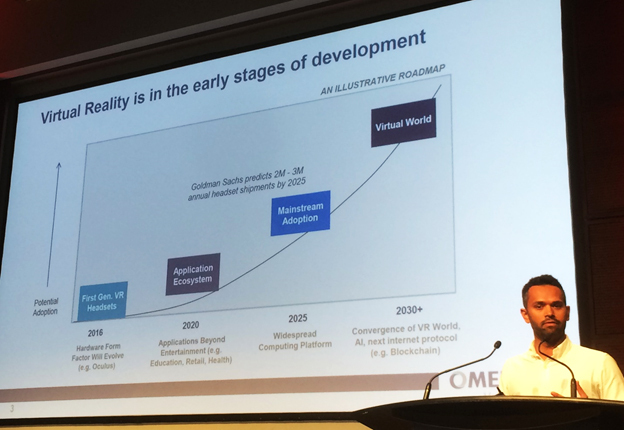 are the ones that already have so much potential for AR technologies. Mobile AR is the phone bridge to the virtual world, says Emrich. The signs are coming from Apple based on their hiring quotas that major work is being done in the AR area, where iPhone 7 Plus, with a depth-capable camera, is a step toward AR. And don’t forget Augmented Sound and Hearables. Maybe all of us in the future will wear a hearing aid and experience enhanced sound interactions hearing virtual objects that are not there. This will change how we hear our world.